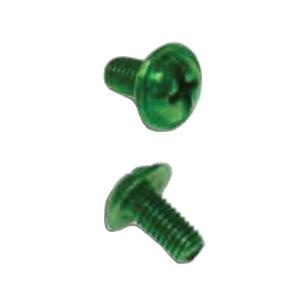 Metallics Ground screw features steel construction and green zinc-plated finish for longer endurance. The size 10 x 3/8-Inch screw has threads of size 10 - 32. It has round washer head and supports slotted as well as Phillips drive type.